Age-related macular degeneration (AMD) is a common chronic eye disease and a leading cause of vision loss among people over 50. It causes damage to the macula, a small portion of the retina that allows us to see objects straight ahead with sharp detail, which results in a blurry, distorted and darkened spot in the center of the field of view. Over time, the blurred area may grow larger or blank spots in the central vision may develop. Also, objects may not appear to be as bright as they used to be. The loss of central vision can interfere significantly with simple everyday activities, such as the ability to recognize faces, drive, read, write, or do close work. Below are the answers to the top frequently asked questions we receive about macular degeneration from people diagnosed with AMD, their families, caregivers and loved ones. Since early macular degeneration may not have symptoms, it is very important to have regular eye examinations to detect these signs as soon as possible. Early detection of age-related macular degeneration is very important because there are treatments that can delay or reduce the severity of the disease. An Amsler Grid can also help you to monitor changes in your vision. Click here for a printable Amsler Grid. Although smoking, race and family history are contributing risk factors, age is the most significant risk. The disease is most likely to occur after age 50, but it can occur earlier. And since we are living longer, thanks to incredible advances in medicine and overall health, the incidence of AMD has been steadily on the rise. Smoking. Studies show that smoking doubles the risk of AMD. Race/Ethnicity. AMD is more prevalent among Caucasians and Asian Americans than African-Americans or Hispanics/Latinos. Cardiovascular diseases. High blood pressure, stroke, heart attack, and heart disease with chest pain increase the risk of macular degeneration. Research studies suggest a link between obesity and the progression of early and intermediate stage AMD to advanced AMD. ANATOMY OF THE EYE - WHAT IS THE MACULA? The macula is a small spot located in the center of the retina, the light-sensitive tissue at the back of the eye. It is made up of millions of light-sensing cells that provide sharp, central vision. The retina instantly converts light or an image into electrical impulses and then sends these impulses, or nerve signals, to the brain where they are translated into the images we see. Damage to the macula often leads to a blurry, distorted and darkened spot in the center of the field of view. Drusen are deposits that lie beneath the retina in a layer called Bruch’s membrane. Drusen can be a marker for macular degeneration (especially in the 50+ age group) because there appears to be an increased risk for macular degeneration as the number of drusen increases. Fat also accumulates in Bruch’s membrane with age. This may also contribute to drusen formation. Drusen can be thought of as backed up waste products from various layers of the retina. Most people with drusen have no symptoms. However, the development of drusen may be a precursor to macular degeneration. There is no clinically effective way to treat drusen. However, several clinical trials are underway to evaluate various methods including laser treatments and their effects on drusen reduction and on the progression of macular degeneration. It is very important to be followed closely by an ophthalmologist if drusen are present. Only an ophthalmologist can monitor subtle changes in the retina and manage any complications that may arise. CAN DRY AMD TURN INTO WET AMD? Dry AMD can advance and cause vision loss without turning into wet AMD but it can also suddenly turn into wet AMD, even during early stage AMD. Because of this, dry AMD should be monitored closely. It is possible to have the wet type in one eye and the dry type in the other. WHICH IS MORE COMMON – DRY AMD OR WET AMD? Dry AMD is much more common. More than 85% of all people with intermediate and advanced AMD combined have dry AMD. However, if only advanced AMD is considered, about two-thirds of patients have wet AMD. Since almost all vision loss comes from advanced AMD, wet AMD leads to significantly more vision loss than dry. Your eye doctor can detect macular degeneration in a comprehensive routine eye exam. The presence of drusen (tiny yellow deposits beneath the retina) is an early sign of macular degeneration which can be seen during an examination. Amsler grid. The lines of the grid may look wavy or disappear if you have AMD. Click here for a printable Amsler Grid. Fluorescein angiogram. This procedure detects leaking blood vessels and may be used to determine if an individual has wet AMD. During this procedure a fluorescent dye is injected into your arm which travels through your body, including your eyes. Photographs are taken as the dye passes through your retinal blood vessels and fluorescent patches reveal abnormal areas and leakage. Optical coherence tomography (OCT). OCT use light waves to provide depth information and clear visualization of the various layers of the retina. This allows doctors to see things such as fluid and to determine exactly which layer of the retina is affected. There is currently no cure for macular degeneration, however, treatments exist that may slow the progression of the disease. There is currently no treatment for early dry AMD. Continue to have regular eye exams and maintain a healthy, well balanced diet and lifestyle. Exercise, avoid smoking and eat lots of green leafy vegetables and fish. AREDS2 Formula. For some people, taking AREDS2 vitamins is recommended. Anti-VEGF injection treatments. Anti-VEFG drugs such as Eylea, Avastin and Lucentis, are injected into the eye to reduce the growth of abnormal blood cells. These injections are used to treat wet macular degeneration. Photodynamic therapy. This technique uses a light-activated drug called a photosensitizer and a special laser to treat wet macular degeneration right at the center of the macula. Laser surgery. This involves using a laser to destroy the abnormal blood vessels in your eyes. This is not a procedure that is not commonly used anymore. Click here for more information about current treatments for AMD. Although studies examining these interventions have produced conflicting results with regard to preventing or minimizing macular degeneration, studies showing the general health value of stopping smoking and eating a diet rich in antioxidants are well supported. HOW CAN AGE-RELATED MACULAR DEGENERATION BE MANAGED? Regular eye examinations – It is very important that people with AMD monitor their vision daily since sudden vision changes may be a sign of wet AMD or new abnormal blood vessel growth or leaking. Self-monitoring of vision – A simple test, called an Amsler Grid, can reveal signs of macular degeneration such as blurry areas, wavy lines, or blank spots. Any changes should immediately be reported to the ophthalmologist. Click here for more info and to print an Amsler Grid. The use of low vision aids – Low vision aids can help with tasks that require detailed vision. It is also helpful to see a low vision specialist, a doctor specifically trained in low vision rehabilitation. Aids such as magnifiers, closed circuit television, reading machines, writing guides, large-faced appliances and clocks, large-print checks, and large print reading materials can help people continue to read and take care of themselves. Click here for some tips for living with low vision. WILL REMOVING A CATARACT IMPROVE VISION? There is no simple answer to this question. An ophthalmologist can advise you about your particular and unique condition. Click here to read an article about cataracts and AMD. WHAT IS THE IMPACT OF MACULAR DEGENERATION? In personal terms, vision is the most important of the five senses: it links us most intimately to the world. Vision allows one to see a new grandchild, read a letter from a friend, scan a computer screen or navigate through traffic. At the beginning stage, AMD alone does not result in complete loss of sight and most people continue to have some useful vision and are able to take care of themselves. As the disease advances, it is devastating, robbing people of their independence and has a negative impact on the ability to function well in everyday life. The economic impact of visual impairment and blindness to the individual, caregivers and other healthcare payers, including the value of time and quality of life in the U.S comes to approximately $51.4 billion annually. HOW MANY PEOPLE HAVE AMD? There is a direct correlation between the increase in AMD and the growing aging population in the United States. Currently more than 15 million people in the U.S. are diagnosed with some form of the disease. Future statistical projections estimate that by the year 2020; approximately 20 million Americans will suffer from macular degeneration and other retina-related debilitating diseases. IS THERE A CONNECTION BETWEEN STATINS AND AMD? Statins (cholesterol-lowering medications) have been hypothesized to be potentially protective in AMD as they reduce LDL (low-density lipoprotein) and have anti-inflammatory properties. A recent phase I/II clinical trial conducted by researchers at Massachusetts Eye and Ear/Harvard Medical School and the University of Crete found evidence that treatment with high-dose atorvastatin (the generic name of the statin Lipitor) is associated with regression of lipid deposits and improvement in visual acuity1. However, this study only collected results from a sample size of 23 patients which is unfortunately too small of a sample size to draw valid clinical conclusions. Also, the findings reference a “subset” of patients which could be problematic since typically if enough subsets are made, generally something can be found. Looking at the bigger picture, larger studies have conflicting results. The AREDS Study 2 Report Number 9 did not show a protective effect from statins. Of the 3,791 participants, approximately half were statin users, and there was no evidence of benefit from statins in terms of AMD stage2. A Cochrane review also reported lack of conclusive evidence that statins may slow progression of AMD3. However, another meta-analysis suggested a protective effect for early AMD and neovascular AMD but not for geographic atrophy4. The study conducted by researchers at Massachusetts Eye and Ear/Harvard Medical School and the University of Crete did use a higher dose of statins, but a larger randomized trial is needed to draw definitive conclusions. With the current evidence available, many physicians believe it is premature to start prescribing statins for AMD treatment. Experts tell us that more data is needed, however, focusing on a low cholesterol healthy diet is always a good idea! Although significant conclusive findings have not been made from this study, the results are encouraging and represent how critical it is to continue research into novel treatments. These types of studies continue to expand our knowledge and understanding of how existing drugs and treatments may lead to new discoveries which will benefit the millions of people currently suffering with macular degeneration. WHAT IS MVRF'S POLICY IN REGARDS TO RESEARCH ON HUMANS AND ANIMALS? 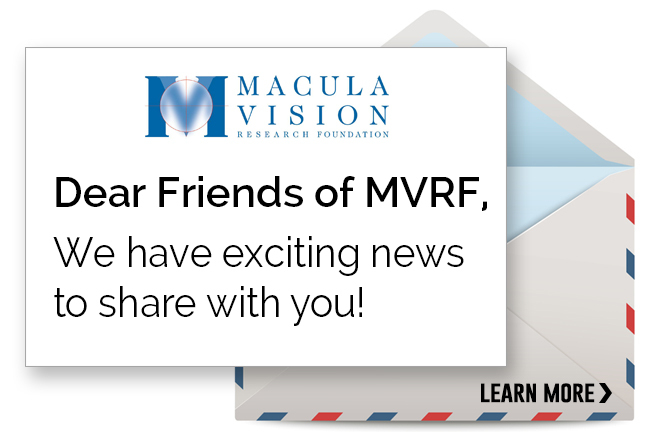 MVRF’s policy is similar to that of NIH. MVRF-funded investigators using animals or humans in their research have to have their projects and protocols approved by their institutional Animal Care Committee or Human Ethics Committee and have their procedures overseen by appropriate personnel with experience in these areas. We uphold a cruelty-free philosophy. A macular hole is a small gap that opens up at the center of the retina, in an area called the macula. The retina is the light-sensitive film at the back of the eye. In the center is the macula – the part responsible for central and fine detail vision needed for tasks such as reading. 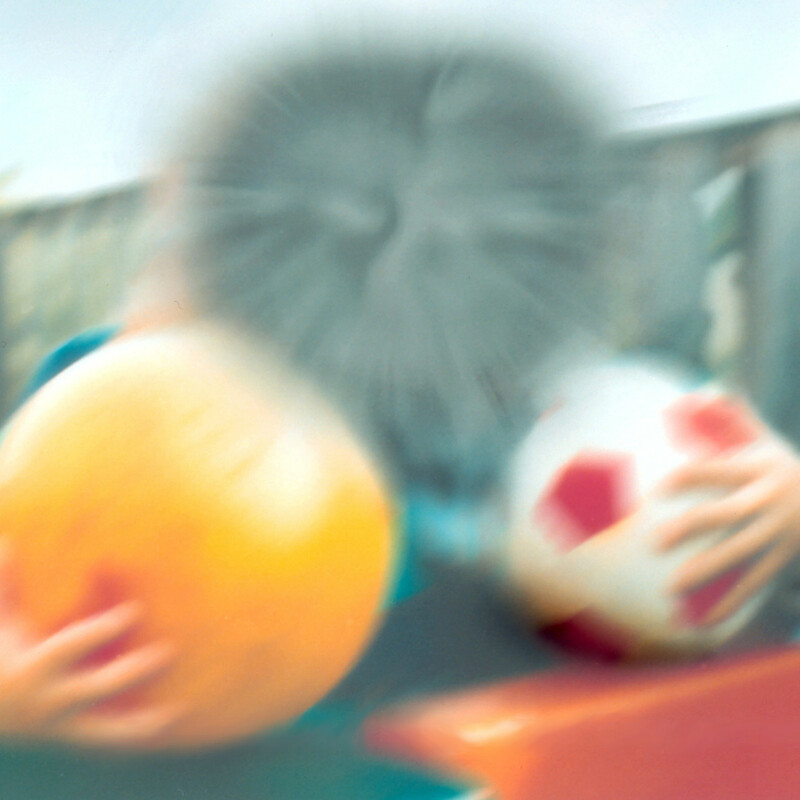 In the early stages, a macular hole can cause blurred and distorted vision. Straight lines may look wavy or bowed, and you may have trouble reading small print. After a while, you may see a small black patch or a “missing patch” in the center of your vision. You won’t feel any pain and the condition doesn’t lead to a total loss of sight. Surgery is usually needed to repair the hole. This is often successful, but you need to be aware of the possible complications of treatment. Your vision will never completely return to normal, but it’s usually improved by having surgery. Click here for more information on macular holes. Click here for more information about macular puckers. The information presented is neither medical advice nor suggestions regarding your condition. All information is intended for your general knowledge only and is not a substitute for medical advice or treatment. Please discuss any medical questions or concerns with an ophthalmologist or retinal specialist. For more information about age-related macular degeneration, we recommend visiting the National Eye Institute’s website, https://nei.nih.gov/.